We offer a wide range of attractive designs in a range of memory capacities and branding options on all of our usb flash drives. Our service includes data preloading and autorun functions. 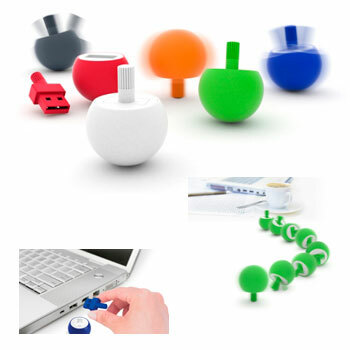 Combine the functionality of a usb flash drive with a bit of fun on your desk. When you rotate the Tornado USB it will jump upside down and keep spinning on your desk. Prices of flash memory fluctuate. Please contact us for up-to-date prices and personalisation options.